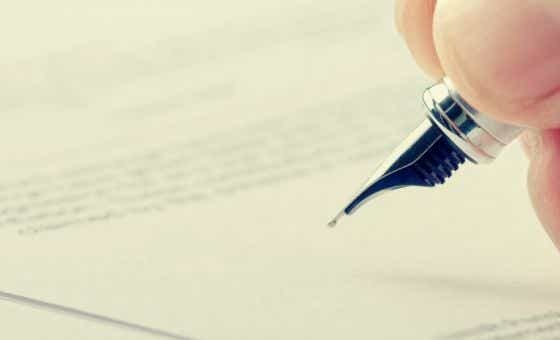 What is a rental reference letter? If you want to list your home as a short-term rental property on Airbnb or Stayz, make sure you get landlord insurance first to protect your home and contents. What Does Landlord Insurance Cost in 2018? What do the premiums for landlord insurance cost? 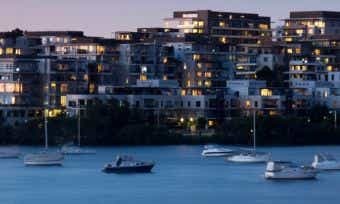 How much of your rental income is going into insuring your investment property? And the good news is that because it is an investment expense, your policy premiums are tax deductible. Find out what landlord insurance costs. 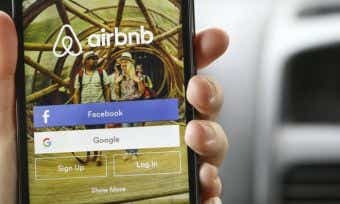 There are also policies available to cover short-term rental landlords who use sites like Airbnb, Stayz and Flatmates.com.au to rent out a room or part of their home property, such as a granny flat. If home owners aren’t covered and a renter or guest damages their property, they can face paying for expensive repairs on their own. Even worse, they could face expensive public liability claims if a renter is injured while staying on their property – which could amount to hundreds of thousands of dollars. CANSTAR’s tips can help you avoid the potential traps in landlord insurance and find a good tenant for your investment property. 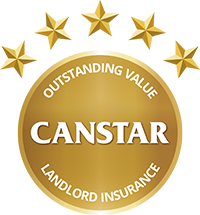 Canstar compares landlord insurance with our unique, sophisticated landlord insurance star ratings methodology, comparing both pricing and features to determine the overall value of an insurance product. The results are reflected in our consumer-friendly 5-star concept, with a 5-star rating signifying an insurance policy that offers outstanding value. CANSTAR compares thousands of quotes across each of the states and territories in Australia, and assessing more than 100 different features within 16 categories. Check what else you need to consider when choosing a landlord insurance policy here. You can read the full landlord insurance star ratings report or compare landlord insurance yourself, based on your own property requirements, using the comparison selector tool at the top of the page. Please note that these are a general explanation of the meaning of terms used in relation to landlord insurance. Your insurance provider may use different wording and you should read the terms and conditions of your insurance policy carefully to understand what you are and are not covered for. Refer to the product disclosure statement (PDS) from your provider. Accidental damage: Damage caused by an event or incident that you and your tenant did not intend or expect. Bond: Money paid by a tenant and held as security by the landlord against any possible future property damage, outstanding rent, or other costs. Building replacement value: The amount it would cost you to totally rebuild the property at today’s prices, taking into account any renovations or improvements you have made previously to increase the property’s value. Duty of care: Because insurance is a contract between landlord and insurer, landlords have a duty of care to take all reasonable care to prevent theft, loss, damage, or legal liability. Landlords also have a duty of care to follow all terms and responsibilities set out in the insurance contract. Duty of disclosure: Landlords have a duty of disclosure to be honest and tell their insurer everything they know or should know, if a reasonable person would consider it relevant to the insurer’s decision to insure someone under the policy. A failure to disclose information fully could result in a claim being reduced or refused, or your policy being cancelled entirely. Excess: The amount you have to pay for each incident when you make a claim. The amount and type of excess that applies to different types of claims under your policy will be shown on your Certificate of Insurance. Exclusions: Anything not covered by your policy. Exclusions vary between insurance providers. Fixtures and fittings: Household items or equipment that are permanently attached to the building, such as carpets, curtains, and air-conditioners. Flood cover: The standard definition of a flood has been updated after the 2011 floods in Queensland and now covers any event when normally dry land is covered by water that has escaped or been released from a lake, river, creek, or other natural watercourse; or a reservoir, canal, or dam. This does not cover damage caused by the sea, such as a tsunami. If you have concerns about flood cover, check with your insurance provider. Find out more about flood cover. Fusion: The burning out of an electric motor or its wiring, caused by the electric current in it. Common items that might be claimed under fusion cover include washing machines, clothes dryers, refrigerators, and pool filters. Learn more about motor burnout and fusion cover. Inclusions: Anything covered by your policy. When a particular event is listed as being included in your policy, the insurer will cover a set amount of the cost involved in repairing the damage or replacing damaged items. An excess may apply to a claim. New for old replacement: If you have this type of cover and your home or contents are damaged or stolen, your insurer will replace them with new items or repair them with new materials. 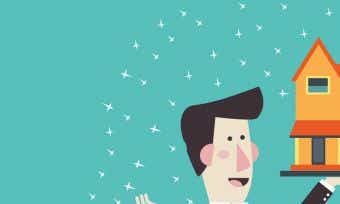 Many new for old policies specify that you can only claim new for old replacement for an item if it is younger than a certain number of years. Learn about new for old replacement. Optional cover: This is extra insurance cover above that included in the standard or basic policy. You can ask your insurer to add optional cover to your policy for a higher premium. Common examples of optional cover include accidental glass breakage, or storm damage to gates and fences. Sum insured: Stands for the sum you are insured for. This is the maximum amount you can claim for a particular incident. Unit: A ‘home unit’ dwelling in the form of an apartment, flat, villa, or townhouse, subdivided according to state or territory laws for strata title. Unoccupied excess: An insurance provider may charge an additional excess for a claim for a covered incident if your property remained continuously unoccupied for a certain length of time. 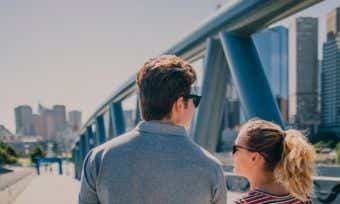 Who offers landlord insurance in Australia? If you’re trying to make your own shortlist of products that might suit your needs, you can’t go past the 5-star rated products listed on our comparison page – see the top of this page.